Farhan Akhtar and Diana Penty promoted their upcoming film Lucknow Central in Mumbai on September 8, 2017. 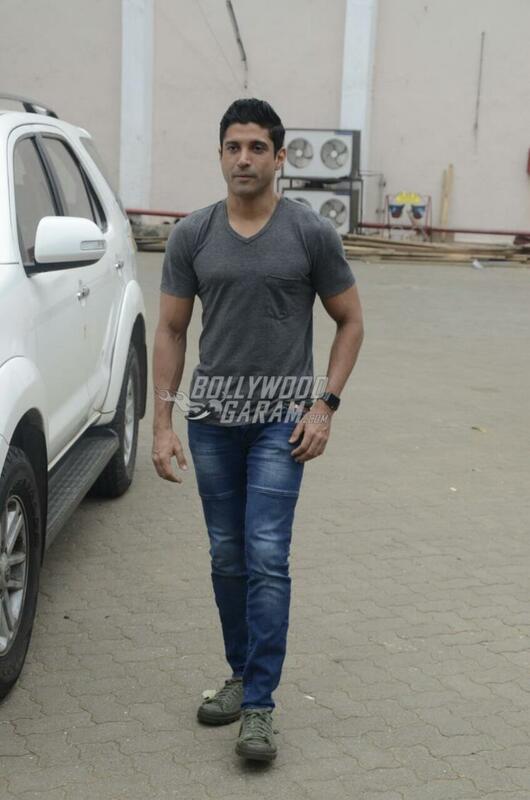 The actors were snapped at a popular studio in Mumbai and were accompanied by director Ranjit Tiwari. Diana looked elegant in a red trouser and a matching coat with an off-white top with oxidized jewellery. The actress completed her look with open hair and minimal make-up. 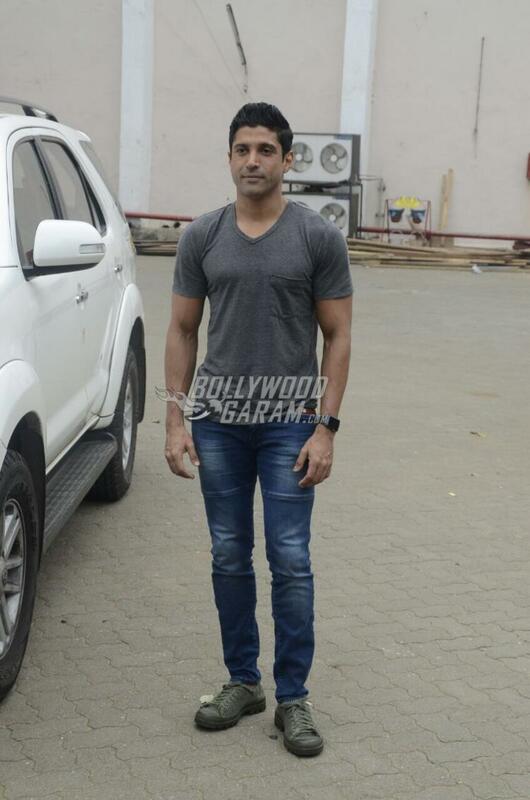 Farhan was at his casual best in a grey t-shirt and a pair of blue denims. 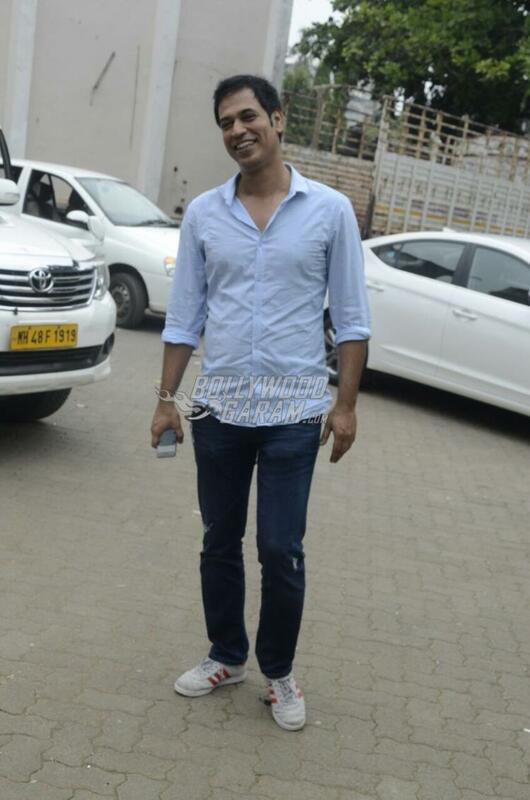 Ranjit proudly stood by the side of his actors as they were clicked by the shutterbugs. The upcoming film is about a man from Moradabad played by Farhan, who is wrongly accused of a murder and is sent to Lucknow Central Jail where he waits for his trial in the high court for a death penalty. Lucknow Central is produced by Nikkhil Advani and Viacom 18 Motion Pictures and is ready to be released in theatres on September 15, 2017. Exclusive photos of Farhan Akhtar with Diana Penty at Lucknow Central promotions!